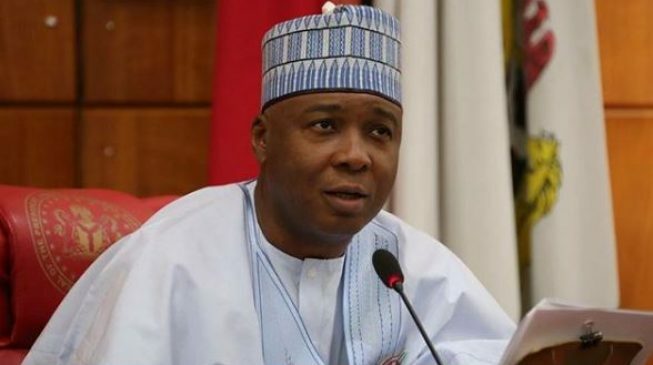 President of the Senate, Dr. Abubakar Bukola Saraki, has commended the President Muhammadu Buhari-led Federal Government for adopting the â€œEvery Child Countsâ€ education policy initiated by his (Sarakiâ€™s) administration 10 years ago. Saraki claimed to have adopted the policy when he was the Governor of Kwara State. In a statement signed by his Special Adviser on Media and Publicity, Yusuph Olaniyonu, and forwarded to DAILY POST on Friday, the Senate President applauded the government for keying into his decade-old vision for education reform, which was initiated to resuscitate public education in Kwara State by ensuring an improvement in teaching quality across the state and building strong educational institutions in the state through the development of the Ministry of Education, the Teaching Service Commission and strengthening the State Education Management Information System, EMIS. â€œI commend the Federal Government for adopting and modifying the â€˜Every Child Countsâ€™ programme that we began in Kwara State in 2008 for the entire country. This shows that this administration values such time-tested ideas that leave a positive impact on the lives of our people â€“ especially our young children. â€œRight now, our nation is suffering from a rising epidemic. We have over 10.5million out of school children across the country. In order to systematically and strategically cut down on this number, we must work to implement the â€˜Every Child Countsâ€™ policy across the country,â€ the Senate President stated. Saraki also emphasised that the Federal Government must work to ensure that improving the quality of teachers through constant training and re-education â€“ which was a central focus of the Kwara State model â€“ must play a central role in the Federal Governmentâ€™s policy approach. â€œTeachers are the bedrock of our educational system. The better and more equipped our teachers are, the smarter and more educationally sound our young children across the nation will be. Hence, it is important that as we work to build strong educational institutions through this repackaged policy, we must also work to enhance the individual capacities of our teachers to meet the demands of a constantly changing world,â€ he said. Saraki called on other states across the nation to study and emulate the Kwara State model, while also commending his successor, Governor Abdulfatah Ahmed, for sustaining the model that his administration began in 2008.
â€œRight now, we must look beyond our political affiliations to address the issues that are important to our people. Other states across the nation should key into the successes of the Kwara State model, as the Federal Government has done, to ensure that we not only get our students back in the classrooms but also to improve the quality of their education through strategic and holistic reforms,â€ the Senate President stated. NIGERIA NEWS APP (https://www.nigerianews.app) is a website owned by IAR (IJMBway Alevel Registraion) a registered company that pays you for reading news, commenting on every news, sharing our ads on Twitter/ Facebook, inviting friends & family and logging daily. You can make upto ₦200,000 just by inviting people to read Latest Nigerian News & Breaking News in Nigeria. Register today with ₦1,600 to become a member. © 2018 - Nigerian News App.